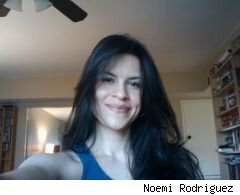 When Noemi Rodriguez bought a two-bedroom, 830-square-foot condo in the San Fernando Valley of LA, for $307,000, she had good credit and a steady job as a data processor. Then came the recession. Home values started tanking.She lost her job. The bills stacked up, and she was falling behind on her single largest expense: her mortgage payment, which was $1,680 a month. Cash-strapped and desperate for relief, but looking to avoid foreclosure or bankruptcy (and the more detrimental effects these other options would have on her credit score), Rodriguez looked into doing a short sale. These complicated transactions -- which allow homeowners to sell their home for less than what is owed on the mortgage, often with the bank forgiving the remaining debt -- are now one of the hottest things around in real estate. In the first quarter of 2010, they accounted for about 12% of pre-foreclosure transactions, according to RealtyTrac, the nation's leading online foreclosure marketplace. That's up from less than 1% in 2006. "The new government program has streamlined the process, making it easier for consumers, and from a bank's perspective, it's typically less costly for them to do a short sale than it is to go through a foreclosure," says Rick Sharga, senior VP of RealtyTrac. The first thing Rodriguez did was appeal to her lender, and ask for help. Was there a loan modification she qualified for? How about a refinancing program? Anything at all that might help alleviate the burden? There wasn't. Rodriguez's finances were just too shaky. "My bank basically said it was my fault for getting into this predicament, so after nearly two years of this constant struggle, I made the decision I was just not going to pay my mortgage anymore." Rodriguez stopped talking to her lender altogether, and after getting all her paperwork together -- a handwritten hardship letter and all the relevant financial documents, from pay stubs to tax returns, bank statements and more -- she found an experienced agent who had done numerous short sales in the area, and gave him power of attorney. "Taking myself out of the equation and having him talk directly to the lender saved me a lot of time and frustration," she says. A critical element in a successful short sale transaction, the agent "moved the deal along." In an area like Tarzana, where prices have fallen drastically, some homes can't even sell when offered as a short sale! Other properties are in such bad shape that if there are any offers, they're well below the bank's bottom line price. The sale never happens, and the transaction goes bust.To avoid that situation, once Rodriguez was approved for a short sale (a process that took several months), she spruced the place up a bit, per the agent's suggestion.She cleaned, painted, and moved much of the the clutter into storage. The home was appraised for $180,000. That's what the bank wanted for it. That's what it was listed for. And that's what it sold for. The buyer, with $160,000 in cash, and pre-approved for the remaining $20,000, was financially sound." He was the real deal so it went through, and I was able to move on," says Rodriguez.